We are doing our best to look good and feel good. We are all aware of the benefits healthy eating, as well as, exercising can have on us and therefore, try to follow a healthy lifestyle. Besides, looking and feeling good starts from inside, right? In order for us to be and stay healthy and beautiful, inside out, though, we must primarily take care of our only home, Mother Earth. 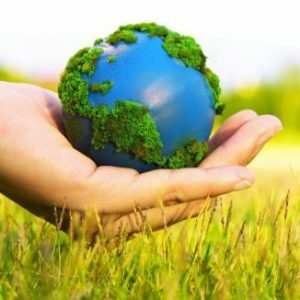 Our planet Earth, has a special day dedicated to its well-being and prosperity, the Mother Earth Day, celebrated every year on April 22nd, today. It is a day to reflect our relationship with our planet and recognize that we ought to do what is possible to preserve its prosperity for future generations. Today’s celebration is a good opportunity to start converting to a green lifestyle. For us and for Mother Earth. 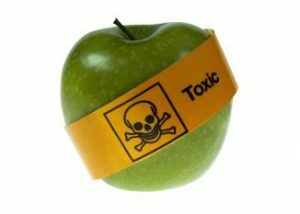 Pesticides, hormones, preservatives, toxic chemicals are only some of the nasty things found on conventionally grown foods. We know that we need to stay away from those and going organic is a way to do it. Not only will we help improve our health but the environment will also benefit from this, since no harmful chemicals will be polluting the already “suffering” soil and water resources. But what exactly does organic food means? 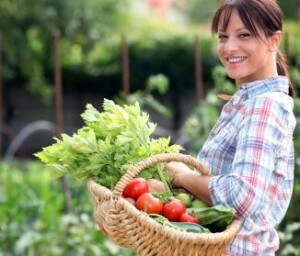 Organic refers to the way farmers grow fruits, vegetables, grains, dairy products and meat. 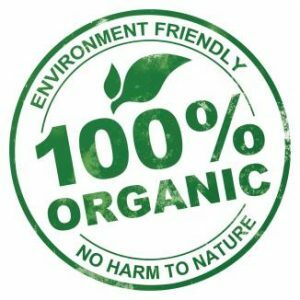 According to the Environmental Protection Agency (EPA), organic food cannot be grown using any synthetic pesticides, sewage sludge, bioengineering, or ionizing radiation, thus encouraging soil and water conservation as well as reducing pollution. Pesticides can be used but only those made from a natural source. Additionally, for meat, poultry, eggs and dairy products to be organic, no hormones or antibiotics are allowed to be used in the farming of livestock, nor genetically modified organisms. Processed organic food is also free from artificial sweeteners, colors and preservatives. Some time ago it was quite difficult to find organic fruit and vegetables and even harder organic dairy products and meat. Today, almost all supermarkets have a specially designated section for organic foods. Still, people are wary of organic foods since “you cannot be sure they are organic after all” and they “cost a lot more than conventional foods”, as many think. Quite often people question whether organic food is actually organic. In order for a product to be certified as organic, the producer/farmer should follow specific strict uniform standards and need to be certified in the US, by a a United States Department of Agriculture (USDA) accredited certifier and in Europe, by the European Council of Agricultural Ministers. If the case farmers do not obey these standards, big fines are applied to them by the accredited certifiers. The truth is that organic food usually costs more than conventional foods but their benefits outweigh the difference in money. A study made by Washington State University on conventional and organic farmed strawberries showed that organic farms produced more flavorful and nutritious berries while leaving the soil healthier and genetically diverse. Researchers at the University of California, Davis, also found that organic tomatoes contain more vitamin C and phytochemicals that conventional ones. Subsequently, eating organic food means that your body is not filled with pesticides and chemicals that put excess strain on the kidneys and liver, in order to eliminate them. Any amount of chemicals and toxins that can not be excreted from our body is stored in fatty organs such as the thyroid, adrenal, testes as well as the kidneys and liver. Can we be sure that these chemicals will not cause health problems when stored there? Especially in children? The answer is no! Further studies have shown that these chemicals can cause obesity, by interfering with our body’s natural weight-loss chemistry increasing also the risk for diabetes. So, why not protect ourselves and our children from them? Furthermore, the chemicals and pesticides used by conventional farming do not just stay in the plants but travel through water to rivers, lakes and underground water spring polluting the water supplies. Organic farming, on the other hand, is based on the use of renewable resources while at the same time ensuring healthy soil using age-old methods of crop rotation, natural pest control and biodiversity. Pollution is minimized and the environment is protected for future generations. Always go for products that are in season. When you opt for something that is out of season it is guaranteed that it has been imported. Transporting from abroad adds to the price tag due to transport expenses plus, it pollutes the environment. Supporting local produce and small farmers markets in your community will ensure fresher food, a cleaner environment and a boost of the local economy. Grow them yourself. I have to admit that I was one of those people thinking that organic food was highly overrated and overpriced. I also used to think that growing organic vegetables and fruits was easy (I have to blame my grandmother for that as she made it look very easy when I was a small child). My perspective completely changed when I started growing my own vegetables in my balcony as a mean to relieve stress. The time and effort I spend in order for my plants to be healthy and strong, without the use of any pesticide, is A LOT and the end result might not always be successful but their delicious taste and purity is worth it. Why not try it yourself?